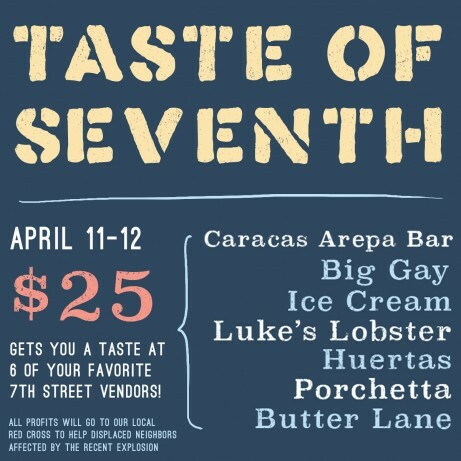 Taste of 7th Street will be happening this weekend with profits going to help residents & businesses displaced by the horrific March 26th fire that claimed two lives. 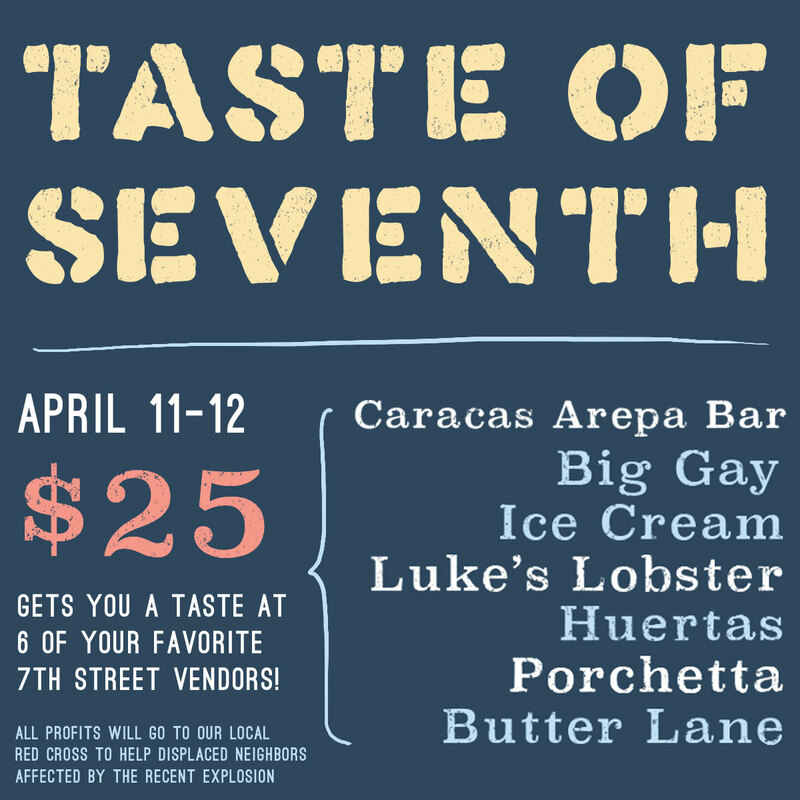 25 bucks get you one dish from each of the participating restaurants: Caracas Arepa Bar, Big Gay Ice Cream, Luke’s Lobster, Huertas, Porchetta & Butter Lane. Tickets and further details are here.